Normally we write our own articles but my good friend, Mike Beeson, wrote this and felt that it would be very useful to share. 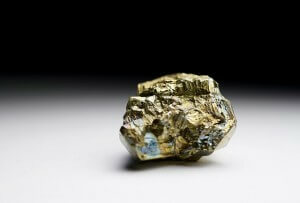 This is Pyrite, commonly known as “fool’s gold” because it looks like gold and feels like gold. The saddest part of all this is that Google’s algorithms rank pages with great accuracy – but only according to their own criteria. Can robots realistically assess product quality, for example, or great customer service? An important question in SEO is how much intrinsic value resides in a specific keyword and, whether SEO has the potential to take everybody on a fool’s errand? Realizing this, many companies will skip the online sales dance, or resign themselves to having a website that is little more than an ‘online brochure’ presence or a support mechanism for Pay-Per-Click or social media activities. Others, however, will persist in their delusion, often encouraged by SEO companies who – out of business naivety or pure self-interest – will over-promise when it comes to levels of return on investment (ROI).